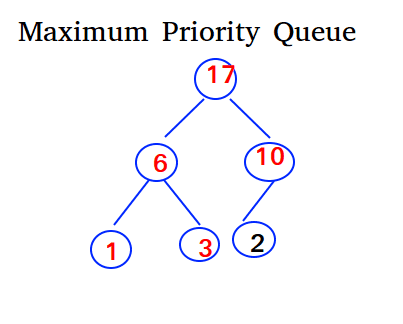 In a Priority Queue, an element with high priority is served before an element with low priority. If two elements have the same priority, they are served according to their order in the queue. Before going through this you should know about Heapsort, because some functions like max_heapify() and build_max_heap() are already discussed there. parent() returns the parent of the index passed. 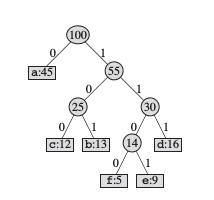 heap_maximum() returns the maximum element in Θ(1). heap_extract_max() extracts the maximum element i.e pops out the maximum element in O(lg n) time. heap_increase_key() repeatedly compares an element to its parent, exchanging their values and continuing if the element's value is larger, and terminating if the element's value is smaller, since the max-heap property hold now. It runs in O(lg n) time. max_heap_insert() inserts the element at the correct position using heap_increase_key(). It's running time is O(lg n). So a heap can support any priority-queue operations on a set of size n in O(lg n) time.